Wheat is a type of grass grown all over the world for its highly nutritious and useful grain. It is one of the top three most produced crops in the world, along with corn and rice. Wheat has been cultivated for over 5,000 years and probably originates in the Fertile Crescent, along with other staple crops. A wide range of wheat products are made by humans, including most famously flour, which is made from the grain itself. Ancestral wheats probably looked very different, with much smaller kernels. The early domesticators of wheat obviously wanted to select for plants with particularly large kernels, since more nutrition could be eked out from each stalk. Because wheat is generally a self pollinating plant, each plant tends to produce clones of itself. When farmers want to hybridize a wheat strain, they must physically pollinate the different plants. Farmers blending wheat for various purposes usually combine different seeds at harvest time and spread them evenly over the field. The wheat grown in the United States falls into two categories: winter wheat, which is planted in the fall and matures in the summer, and spring wheat, which is planted after the danger of frost is over and also matures in the summer. Wheat's characteristic golden color at harvest time is well known and often appears in artwork that uses wheat. When wheat is ready for harvest, the heads of the grain start to bend the stalks with the weight of the kernels. This, in combination with the golden color, indicates that it is time to harvest the wheat. After harvest, the grain is separated from the stalks and chaff. Wheat stalks are used in a variety of applications: mulch, construction material, and animal bedding, for example. On organic farms, livestock are often turned loose on the wheat field after harvest to clean up the leftovers. Once the kernels have been separated, they can be ground into flour. There are many classifications for flour, depending on what part of the seed is used and how hard the endosperm, the largest part of the kernel, is. Wheat kernels have three parts: the small germ, the large endosperm, and the rough outer casing known as the bran. Hard wheats are suitable for making pasta and bread, and soft wheats are used for other wheat products that do not require a high gluten content. After harvest, the field is cleared and prepared for planting again. Farmers using good rotation practices do not plant wheat in sequential years, although they may return to the field later. Wheat contains mineral salts, catalytic elements, calcium, magnesium, sodium, potassium, chlorine, sulfur, silicon, zinc, manganese, cobalt, copper, iodide, arsenic, vitamins A, B, E, K, D, PP, and ferments. Thus, wheat is the base for nourishment. Whole wheat is one of the most wholesome food items that ensure consumers a diet rich in nutrients. The best aspect about whole wheat is that it retains all the parts of the grain kernel (i.e. bran, germ, and endosperm) during the flour making process, in contrast to the white refined grains, which retains only endosperm. Talking about the various health benefits of wheat consumption, the grain is extremely beneficial for healthy living. This low-calorie food reduces the risk of heart diseases and also helps in regulating blood glucose in people with diabetes. To get detailed information about the health benefits of eating wheat grain, read through the following lines. Wheat reduces the risk of heart disease by decreasing cholesterol level, blood pressure, and blood coagulation. A diet that is rich in wheat consumption reduces the risk of cancer amongst people. The dietary fiber present in it plays an important role in the prevention of cancer. Wheat products prove to be an extremely rich source of the mineral, selenium. Daily intake of wheat products ensures an overall increase in health and decrease in obesity. Rich in nutrients, whole wheat provides consumers a feeling of fullness, thereby reducing the risk of overeating. For figure-conscious folks, whole wheat comes as a boon. Gaining weight is inversely proportional to consuming whole wheat. As per a study conducted, women who consumed whole wheat products are less likely to gain weight than those who consumed refined grains. Consumption of wheat reduces the risk of metabolic syndrome, thereby preventing visceral obesity or the "apple shaped" body, low levels of protective HDL cholesterol, high triglycerides and high blood pressure. In contrast to the refined grains, whole wheat consumption does not have harmful effects on your body, i.e. no weight gain and no risk of insulin resistance. 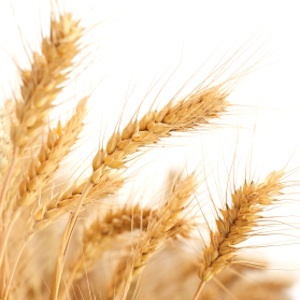 Wheat contains antioxidant and anti-aging properties that are good for skin, nails and hair. It helps in fighting against muscular disorders such as muscular dystrophy and neuron-muscular problems. It lowers bad cholesterol levels and blood pressure, and promotes a healthy heart. With 28% protein content, wheat germ repairs tissue damage and helps minerals and nutrients to reach our cells. It helps in improving muscular energy, reflexes and utilization of oxygen during exercising. Wheat helps in providing vitality, longevity and endurance during exercise. It enables the body to adjust during stress. Rich in omega-3 fatty acids, wheat germ helps in elevating mood and regulates the functioning of the nervous system. It helps in preventing certain types of birth defects. Since wheat germ is a good source of fiber, it improves bowel function, reduces the risk of developing heart disease and diabetes and prevents weight gain. It is extremely beneficial for women, since it alleviates premenstrual symptoms and menopausal symptoms. Wheat germ is one of the richest foods in vitamin B-complex that are good for metabolism and handling stress. It fights colon cancer, prevents constipation and improves digestion. For those people who are prone to allergic reactions, whole wheat consumption can lead to allergies, such as skin rash, hives, itching, and eczema. Swelling of the lips, tongue, or throat or tingling sensation in the mouth can also be seen. Another concern is the presence of oxalate in whole wheat. These are the naturally-occurring substances found in plants, animals and human beings. High concentration of oxalates in body fluids can crystallize, thereby causing health problems. Since wheat germ is likely to become rancid quickly, it should be stored in an airtight container in the refrigerator, after opening.